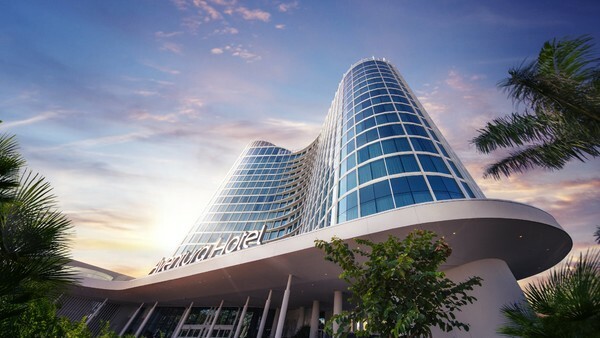 In August, 2018 Universal Orlando Resort opened the Aventura Hotel, a Prime Value hotel with technology bursting out of each room. 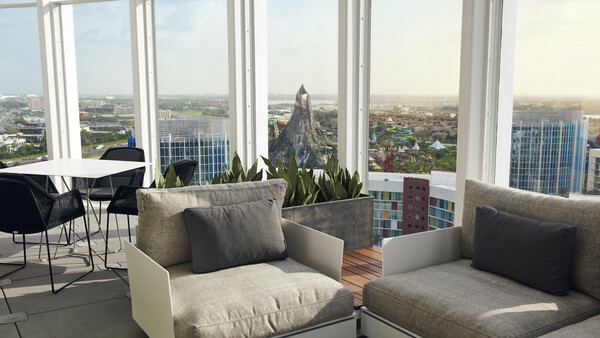 Aventura Hotel is a modern, boutique style hotel with spectacular views across the entire resort and is the perfect hotel if you're looking for a simple modern stay, right in the heart of the Universal Orlando Resort. We were lucky enough to stay at Aventura Hotel on a recent trip to Universal's theme parks and it made for the perfect getaway. We can't wait to return to Aventura Hotel and here are 6 reasons why think you should stay here too. I love a good view from my hotel room window and Universal's Aventura provides some truly stunning visuals. There isn't a bad view in this hotel, especially if you are on the higher floors. I had a room which probably wouldn't be classed as a special view as it overlooked the car park and all across Downtown Orlando. It was stunning to watch the sunrise and set over "the city beautiful" in the distance. If you would like an incredibly fabulous view, ask if you can have a room which overlooks Universal's theme parks. You might be lucky enough to see Universal Studios' nightly firework display or even Volcano Bay's Krakatau erupting. Aventura's Bar 17 Bistro is located on the roof of the hotel and offers unmatched panoramic views across Orlando. So why not grab a cocktail and indulge yourself in some landmark spotting from your high-rise!